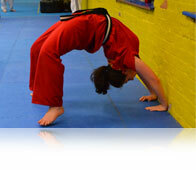 our convenient and flexible programme has been designed with our students in mind. The classes combine Kukkiwon Taegeuk forms from the very basic to the more advanced incorporating basic weapon training such as Bo/Jo Staff, Nunchaku and Bokken (Wooden Sword). 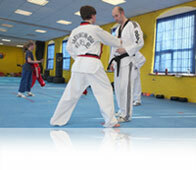 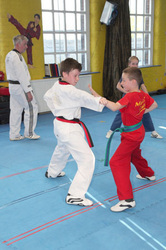 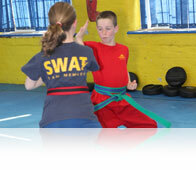 Masters also includes basic self defence and knife defence, together with sparring, grappling and locking techniques. Once a junior student attains a Universal Black Belt (Junior Black Belt) they are automatically enrolled on the Masters course. 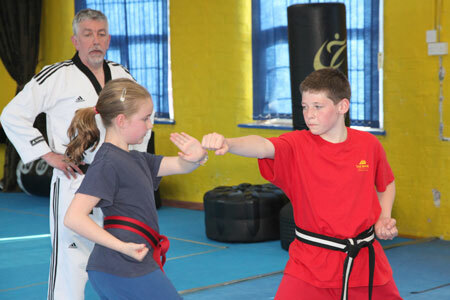 The course is also ideal for family members who wish to train together or for older juniors who feel they are too old for the Junior class or are too young for Adults classes. 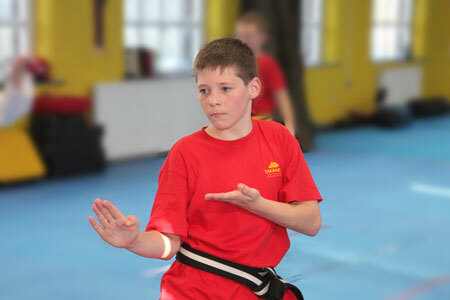 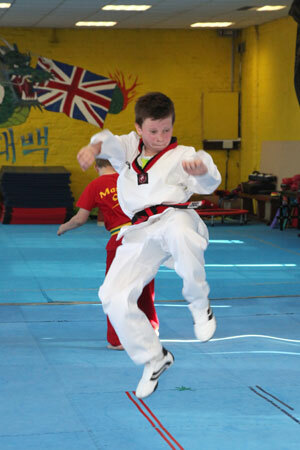 The Masters class promotes confidence and safety awareness as well as improving general fitness, mental focus, balance, co-ordination and communication skills.
" 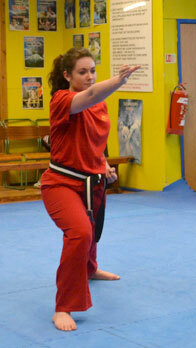 We moved our daughter from another club to the TBK Masters class 16 months ago. 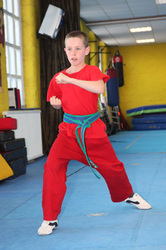 She settled in very quickly and has improved tremendously in her style and quality, with her confidence growing immensely. 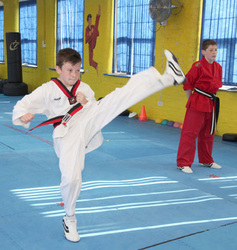 We found the club very welcoming and friendly and the presentation evenings after a grading are fun, offering a great sociable side to the club."